MICCO – The Brevard County Sheriff’s Office received a call about a disturbance at the 1100 block of Barefoot Circle in Barefoot Bay. As deputies arrived at the Micco residence, they met with the victim who had an injury to his head. The victim stated that his girlfriend, 34-year-old Jennifer Michelle Crowley, began throwing items and breaking them in the home. Crowley has lived in Barefoot Bay at the residence for about seven months. “While throwing items in the residence, Ms. Crowley struck [the victim] in the head with a metal object, leaving a welt that could be felt on the right side of his head above his ear,” the deputy stated. When Crowley was being detained, she failed to comply with deputies. “While trying to place Ms. Crowley in handcuffs and into my patrol car, on both occasions, Ms. Crowley tensed up and failed to comply with verbal commands,” the deputy said. 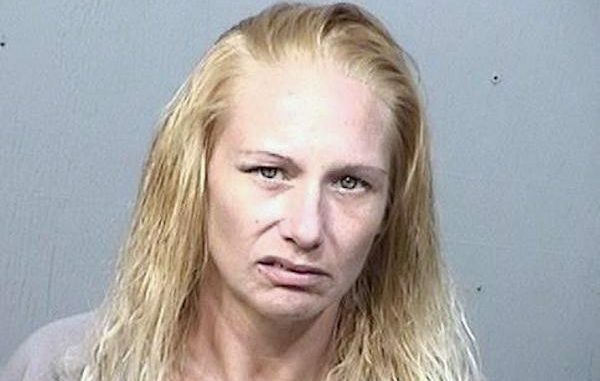 Crowley was arrested and transported to the Brevard County Jail where she was charged with Battery Domestic Violence and Resisting Arrest.